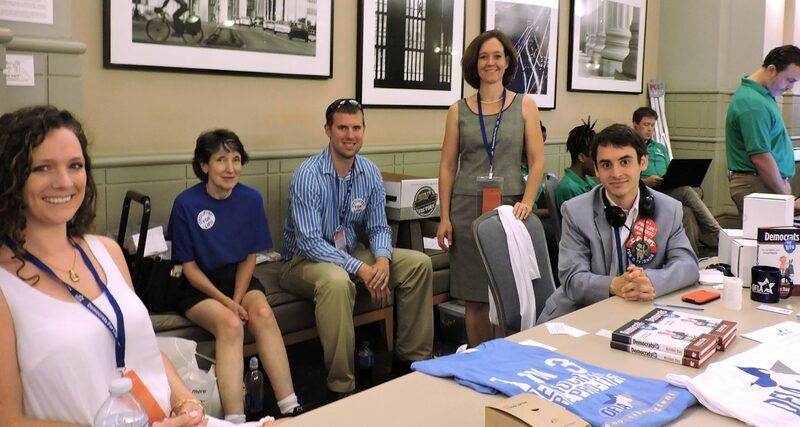 One-third of all the members of the Democratic Party are pro-life, according to statistics quoted by Kristen Day, executive director of the Fairfax, Virginia-based Democrats for Life of America during a July 27 meeting held in Philadelphia in conjunction with the Democratic National Convention. However, this does not translate into pro-life Democratic members of the U.S. Congress. As the number of pro-life senators and congressmen has diminished so has the number of total Democrats diminished in both the Senate and the House, and Day attributes this to the abandonment of a “Big Tent” concept to one that considers promotion of abortion rights as a core value. If the Democratic Party would again adopt a Big Tent approach and offer a voice for both sides of the abortion issue, Day believes the party could regain control of Congress. She thinks the Democrats lost the House because pro-life voters have abandoned the party. This was the first year Democrats for Life actually had a table display at the convention site, and Day was encouraged by the amount of interest that was generated there. Pro-life candidates can win if given a chance, the Democrats for Life assert, and Day cited the example of Louisiana Governor John Bel Edwards, who received the group’s Governor Casey Award at the July 27 meeting. In conversations they had with attendees at the convention her group’s members found most people were genuinely interested and respectful, she said. Andrew Barnhall, a Clinton delegate from North Carolina, said many people in his state had strong convictions about life in a variety of ways. Janet Roberts, the board chair for Democrats for Life, which was founded in 1999, expressed optimism for the future but quotes one of the patron saints of the pro-life movement – the late Hubert Humphrey, former vice president and Democratic Party presidential candidate. “The moral test of government is how that government treats those who are at the dawn of life, the children; those who are at the twilight of life, the elderly; and those who are in the shadows of life, the sick, the needy and the handicapped,” Humphrey said in a 1977 speech. I’m afraid that Democrats for Life will not work. The party is becoming too atheist and secular. Many of us are looking forward to the day when we can again vote for pro-life Democrats. Who is worse, Obama who wants to force the Little Sisters of the Poor to bow down to his pro-abortion policy or Hillary Clinton who wants the Pope to declare that abortion is OK? Happy to see that not all democrats have fallen off the left edge of politics. Thanks for providing the whole picture.